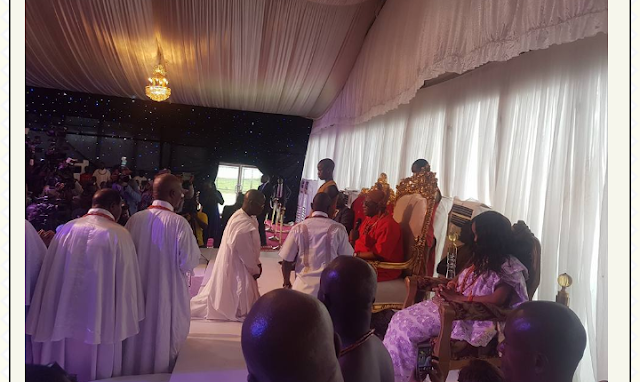 The Oba of Benin, Omo N’Oba Eheneden Erediauwa Ewuare II and the people of Edo State on Friday gave a thank you/send-off ceremony in honour of the former Executive Governor of Edo State, Comrade Adams Oshiomhole for the good work he did during his 8-year tenure in office. According to Lari Awani, the media aide to Chief Ayiri Emami, the event was heavily attended. Sokoto State Governor Aminu Waziri Tambuwal., Kebbi State governor Atiku Bagudu, CEO of Guardian Newspapers, Nduka Obaigbena, Governor of Edo state, Godwin Obaseki. Chief Ayiri Emami among many other dignitaries graced the event.